Due to injury acquired in training, Jose Aldo bows out of his UFC 133 match and gives way for Rani Yahya to face Chad Mendes. UFC President, Dana White, announced last Tuesday that the featherweight champ incurred an injury during his training. That said, Chad Mendes might not have a title shot, but he will definitely have an interesting fight against Rani Yahya at UFC 133. The 26-year-old Chad Mendes has wrestled in NCAA at California Polytechnic State University. 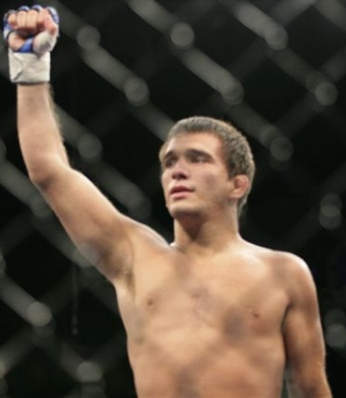 After his career in college, he trained at Team Alpha Male together with Urijah Faber and fought at Palace Fighting Championship. He was undefeated with a 10-0 record before going to WEC last March 2010, where he won over Erik Koch by unanimous decision. Chad Mendes joined the UFC last February following the UFC-WEC merger where he defeated Michihiro Omigawa via unanimous decision. Meanwhile, Rani Yahya is also a tough fighter. His grappling prowess led him to won Abu Dhabi Combat Club’s (ADCC) 66kg Submission Grappling Championship last April 2007. He enter the WEC in May 2007 and defeated Mark Hominick via rear naked choke. Rani Yahya holds a 4-3 record in WEC before going to UFC last January where he defeated Mike Brown. The UFC 133 will feature the Rashad Evans vs Phil Davis bout as main event on August 6 at the Wells Fargo Center in Philadelphia, Pennsylvania. Jose Aldo vs Chad Mendes, Set for UFC 134?